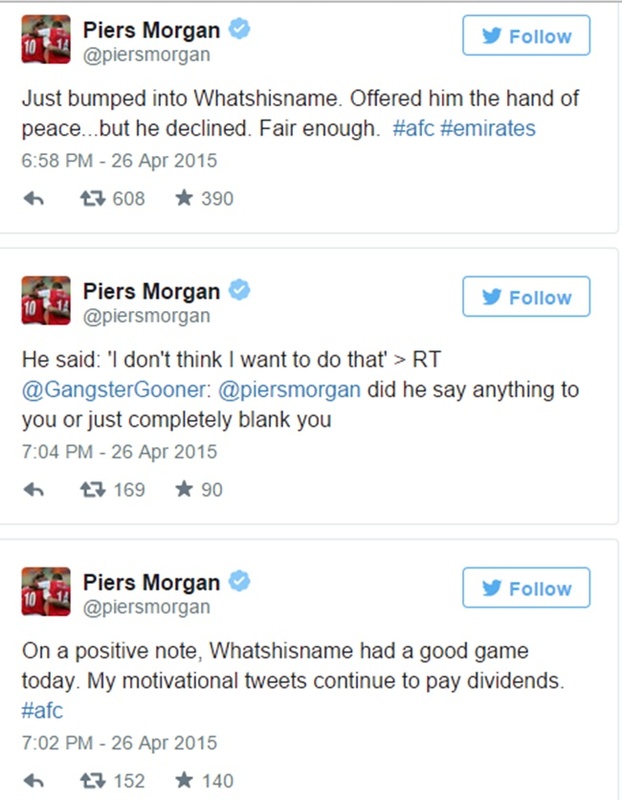 To say that Piers Morgan divides opinion is like saying Arsene Wenger and Jose Mourinho don't always see eye to eye. The TV presenter is probably only second to Joey Barton when it comes to voicing a quick-fire opinion on Twitter and Ramsey has been a frequent focus of his ire, especially during the 202/13 season. 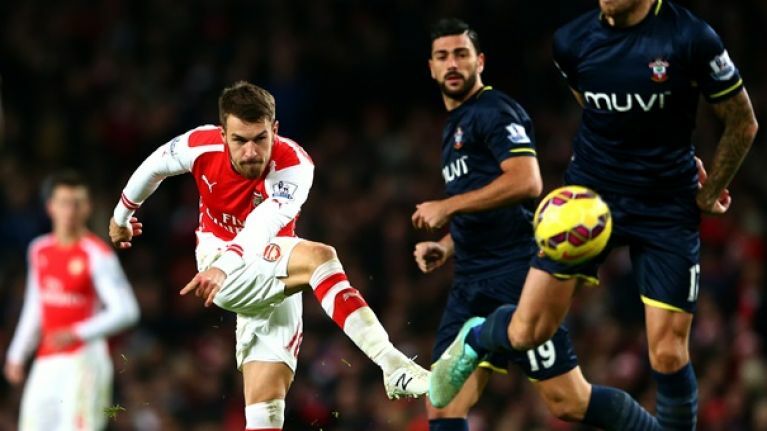 Ramsey's Arsenal career has blossomed since then and he's now one of the most influential players at the Emirates. Our respect for the midfielder has grown tenfold after reading that he refused to shake Morgan's hand following the Gunners recent 0-0 draw with Chelsea. Fair play to Ramsey because Morgan's snivelling 'motivational tweets' remark just proves that the Welshman is 100% right.